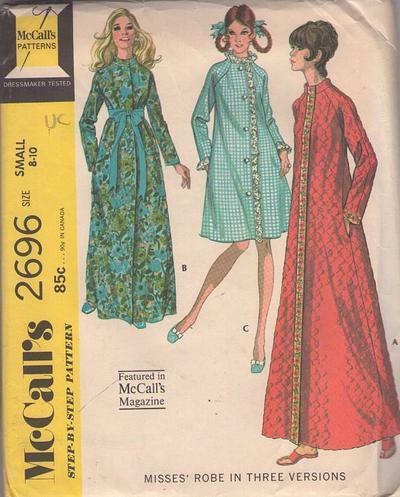 1970, 70s Loungewear, Retro Sleepwear Clothing Patterns - Raglan sleeved robe is collared, lace or novelty trimmed. All views have pockets in side seams. Front button or snap closing. Suitable for ginghams, silks or cotton blends, quilted fabrics, velveteen, nylon fleece & more!